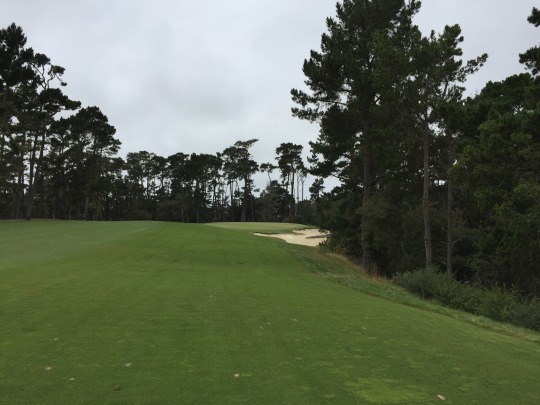 I’ve been looking for an excuse to come back and play the “new” version of Poppy Hills since it reopened from its major renovation in 2014. I made a point to play it not too long before it closed. You can read that review from the summer of 2012 here. Pictures were tough that day because of heavy morning fog, but it will show some differences in the course presentation. I finally had the chance to return last Friday afternoon. I had a 3:00 twilight time. I was paired with another single and we were both walking. 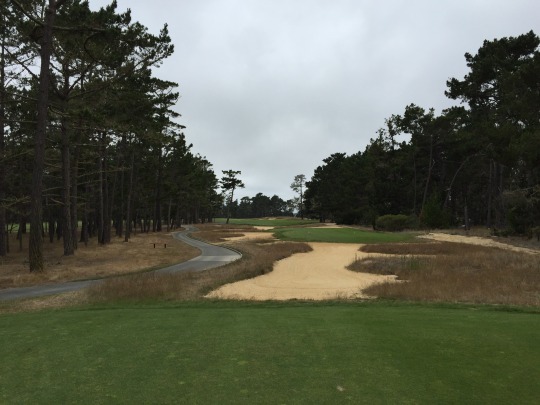 Cart rates are very expensive here and the course is now cart path only like the Pebble Beach Resort courses (Poppy is not part of the resort, though). This course is hilly and a tough walk, but I’ve always opted to walk at all these courses anyway. It just seems better to enjoy the beautiful surroundings. We went off right behind a group of 12 (three foursomes). They were all goofing around in some sort of friendly competition, so they were not playing fast. One of the groups was really slow. Our round took about 4 hours and 50 minutes. 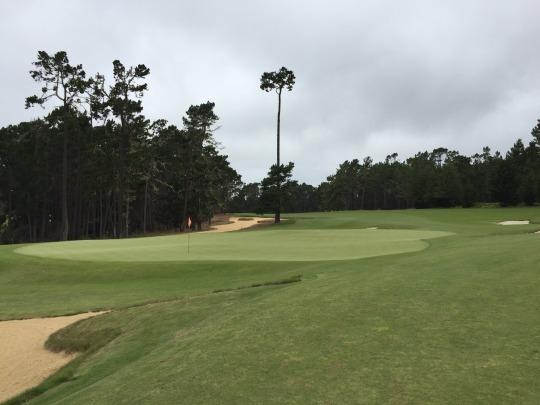 A lot of the renovation at Poppy Hills was spurred by a desire to use less water to maintain the course while also improving drainage, inspired largely by what they did on the Pinehurst No. 2 course before the last U.S. Open that was held there. Original designer, Robert Trent Jones, Jr. and his team worked closely with the NCGA to reimagine the course and make the following changes. 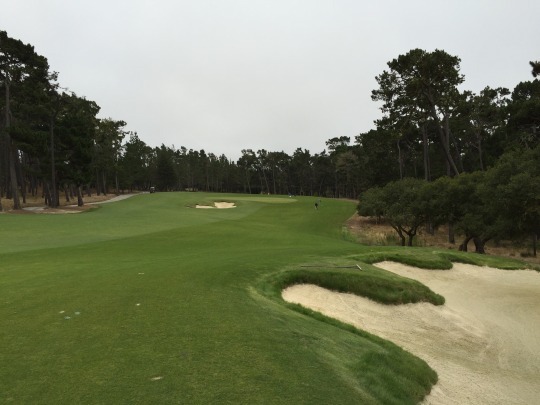 This list is pulled directly from the Poppy Hills website. 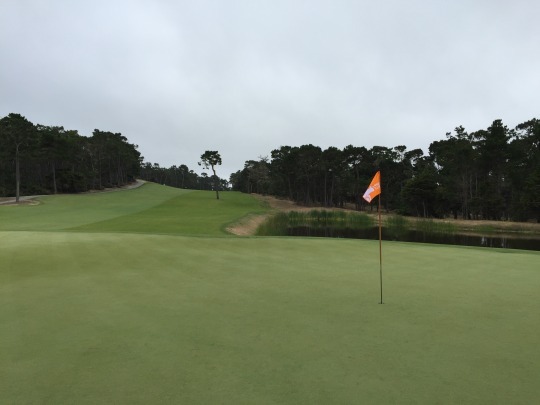 Indeed, it was quite a project and most reviews of the renovated course I have read have been very positive. I was a little reluctant myself because I really loved the old course. 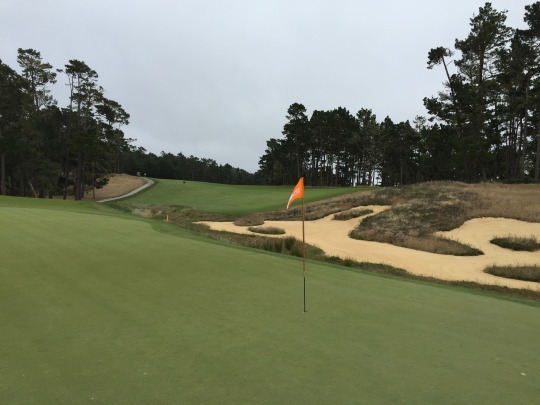 It was very difficult with tighter doglegs, hilly terrain, nasty bunkers and insane greens. I was afraid they would alter it too much. Honestly, three of those four things I listed still apply. 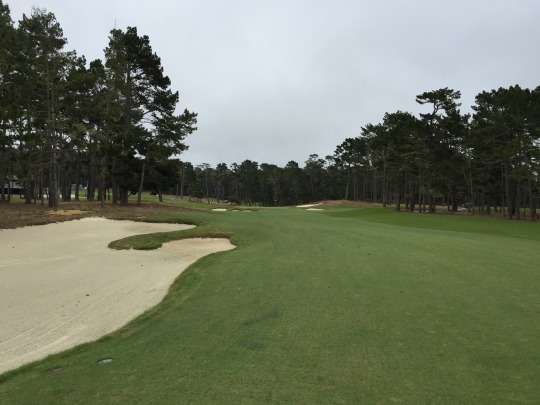 The only thing I really noticed was that the wider fairways definitely softened up some of the sharp doglegs from before. 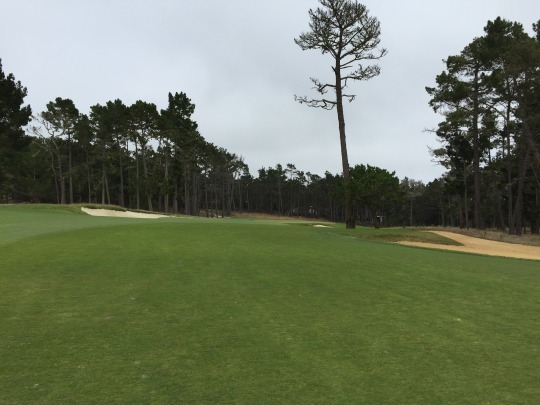 Some trees were removed and obviously there is no more rough other than some small collars on the far edges of fairways and around bunkers. Positioning is still crucial on almost every hole, but there’s a little more room to work with than before. Otherwise, I actually might argue that the current course (at least as it played for me on Friday) is more difficult than before. This has to do largely with the newer turf that plays very firm. It is meant to be firmer and faster than the soft, fluffy grass they had before. 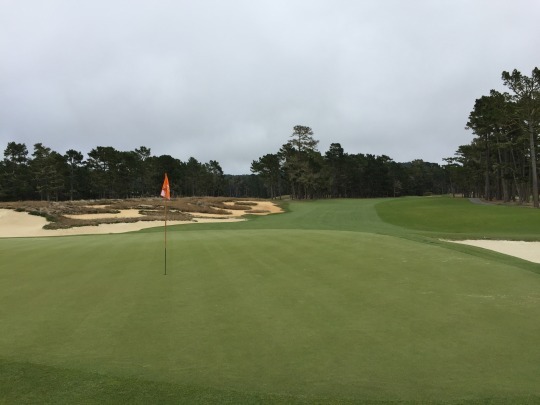 However, it is still fairly new turf that will take quite a few years to fully mature, so I think it will soften up a little over time and ultimately improve the playability of the course. The wide, hilly and firm fairways now provide extra roll-out on drives, but that’s not always a good thing as the ball naturally feeds toward the low spots. 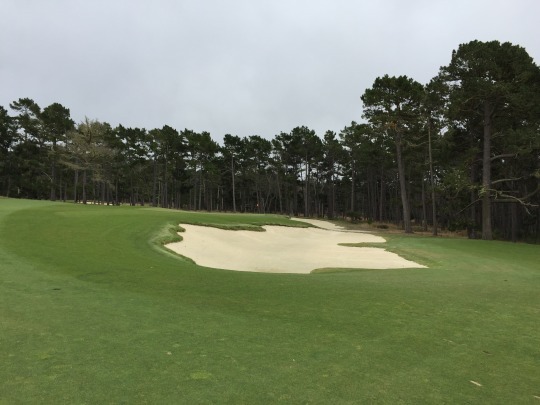 Those low spots are generally inhabited by deep fairway bunkers, waste areas, beauty bark/pine straw or hazards. Sometimes that extra yardage helps and sometimes it doesn’t. The toughest aspect of the course right now is the greens. They are incredibly firm. Unless you get pro-level spin on your approach shots, they won’t hold much. I was joking that I might be able to stop a wet hacky sack from 10 yards with a 64-degree wedge, but that’s about it. 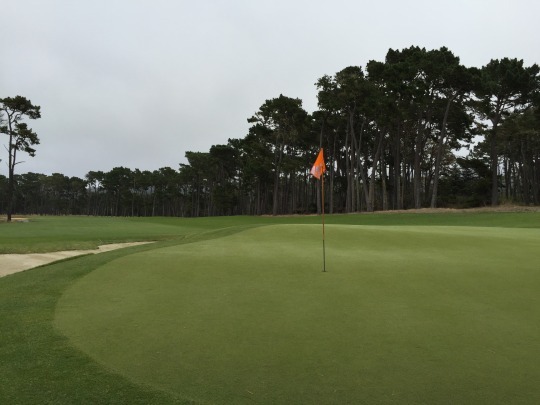 The greens were big and undulated before and the newly shaped greens are just as intense. 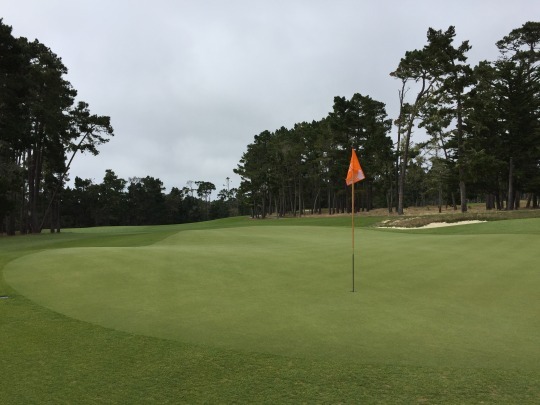 With the firmness of the surfaces, the idea now is to force more links strategy and allow for more run-up shots where you can play the contours. 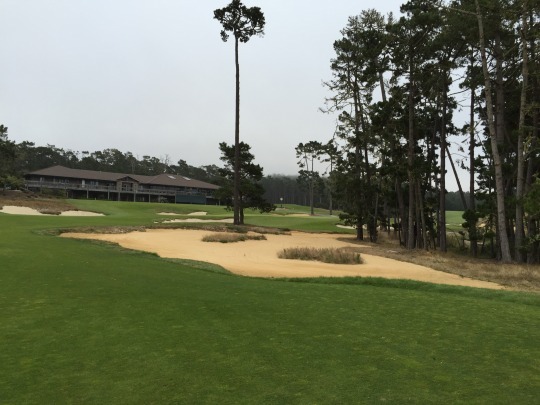 You would have to play this course a lot to figure out all the right strategies and slopes for each green. At the same time, there are many false fronts and the ball doesn’t always release like you’d want and expect from a links course. It’s tough to judge even the shortest of shots and it really gets in your head. Through the course of my round, I got away with a couple bad shots that ended up good. Overall, though, I’d say I hit many more shots that I thought were good, but ended up in trouble. On the first hole, I had a short pitch (maybe 40 yards). I landed it on the front third of the green and it catapulted all the way off the back edge and down into a hazard. The green was so firm and there was no rough behind the green to stop it. That one shot messed my head up for the entire round! 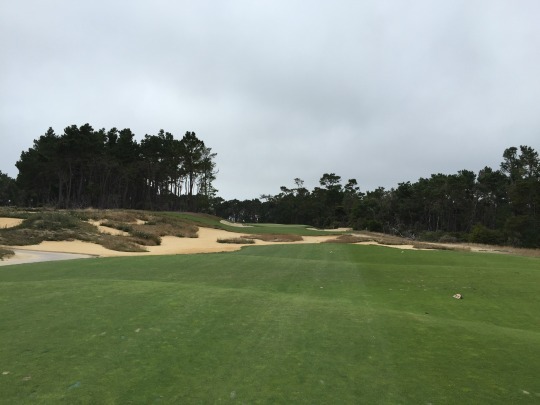 You have to be able to adjust your thinking and execute different types of shots around Poppy Hills. Some people will appreciate that and others might be frustrated by it. I fall somewhere in between. Aesthetically, I like some of what they did around the course with the new waste areas and redone bunkers. They didn’t take away from the natural beauty of the original course running through the hills and trees. Some holes are framed very nicely now, especially on the back nine. I thought the back nine definitely looked more appropriate with this rather rugged design style than much of the front nine, which I think looked better before with more lush, green grass covering the course from edge to edge. 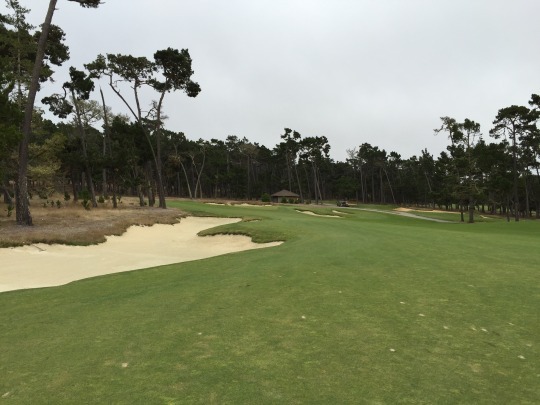 Parts of the back nine, including the new 11th hole, really reminded me of Bandon Trails and I liked that. 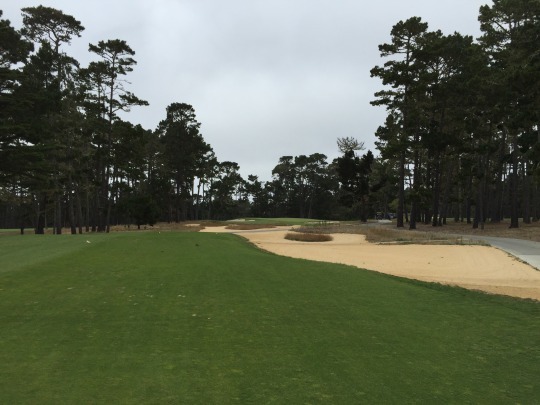 After the renovation, they did really jack up the rates at Poppy Hills. 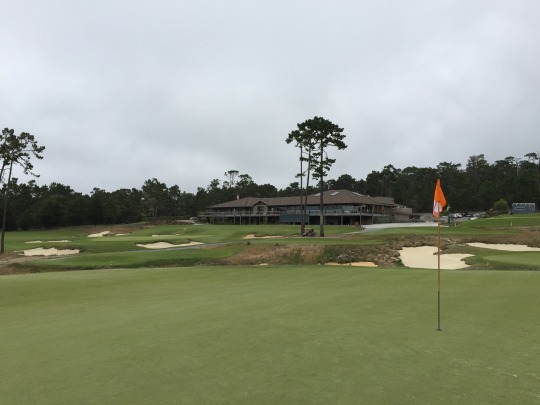 It used to be somewhat reasonably priced in comparison to the resort courses, but now it will cost out-of-towners a pretty penny to tee it up here. 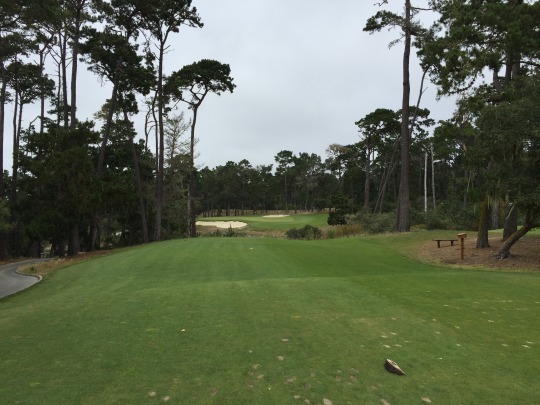 NCGA members do get a lot of discounts and deals here, so it will draw plenty of regular local play. 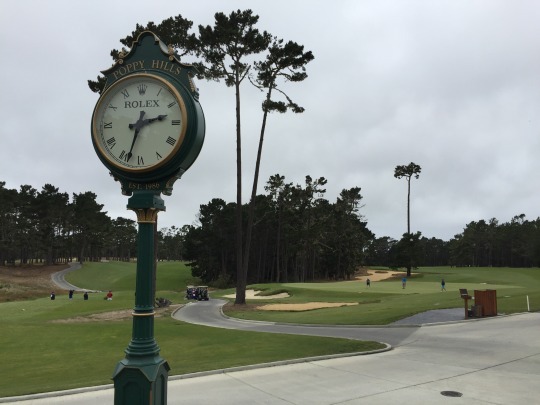 Poppy Hills doesn’t quite have the prestige of the Pebble Beach Resort courses, nor does it have the oceanfront views, so I don’t know if the new pricing will work against them when trying to attract destination golfers on their dream Pebble Beach trips. They seem to be doing just fine with it, though, so I don’t imagine the prices will come back down any time soon. Maybe they’ll reintroduce an intermediate SCGA member discount like they once had, so at least all Californians can take advantage. 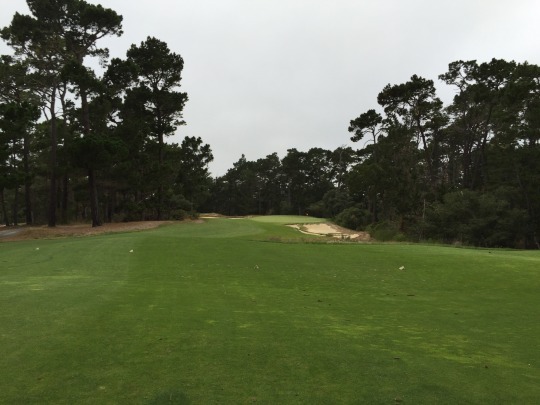 Either way, I think Poppy Hills is still an awesome course on every level. Personally, I would probably say I liked it better before the renovation, but I may be in the minority. 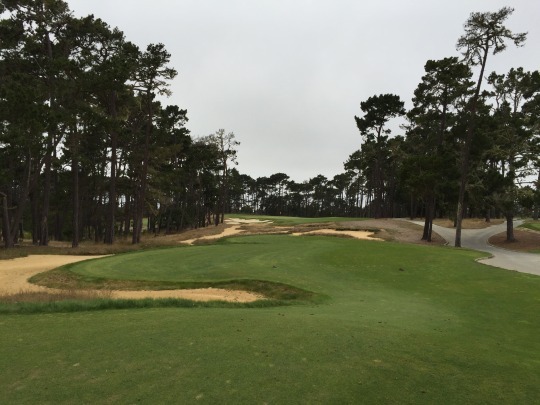 Anyone who comes out and plays the new version of the course will likely not be disappointed. The natural beauty is still inspiring. The layout is very difficult, yet enjoyable. 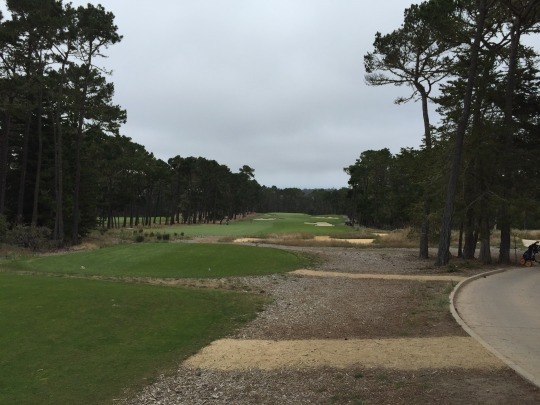 The great feeling you get when walking the inspiring landscape of Pebble Beach will never get old. CA, Golf, Golf Course Architecture, Golf Course Photography, Golf Course Photos, Golf Course Reviews, Golf Courses, Monterey, Monterey County, Monterey Peninsula, NCGA, Norcal, northern california, Pebble Beach, Poppy Hills Golf Course, Renovated Course, Renovation, Robert Trent Jones II, Robert Trent Jones Jr.